Well it looks like we have our first female entry and it's a pretty solid one. 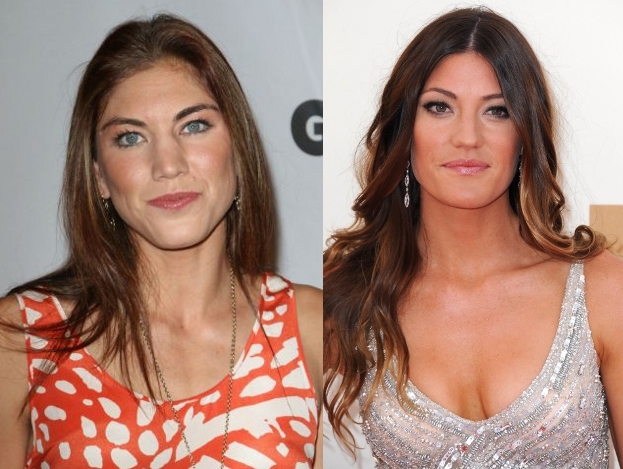 Most of us know Hope Solo as the normally blonde goalie of the US team, she decided to put her "winter coat" on and ended up looking like everyone's favorite foul mouthed sister. The similarities don't end there, Hope has been known to get in teammate's faces for missing assignments, Carpenter just may dispatch her serial killer brother-husband if you get on her bad side. She looks like Anna Chlumsky also. When I first saw her, I thought it was Debra Morgan. btw, she wouldn't dispatch her brother to do anything, because she doesn't know he's a serial killer.